Lauren Pak’s passport is a map of injustices around the world. She has spent much of her undergraduate career learning about conflict resolution—not just through classroom lectures and reading, but also by doing hands-on, university-funded research on five continents. Pak, a double major in political science and human and organizational development, is interested in conflict resolution and post-conflict development strategies that account for cultural variability. Her senior thesis focuses on community building and empowerment right here in Nashville. 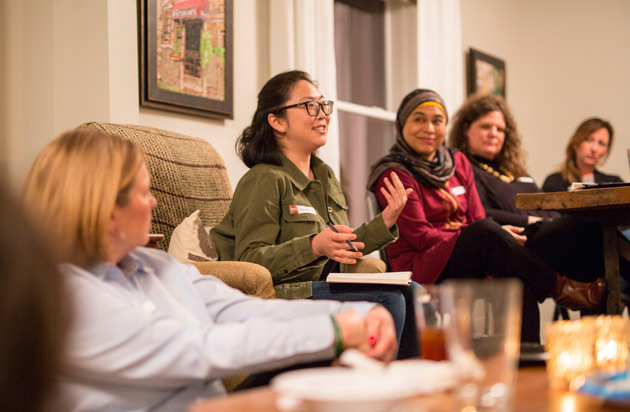 She’s working with the Our Muslim Neighbor initiative in its A Seat at the Table program, which brings together people from all faith traditions to share a meal and thoughtful conversation. Pak grew up in Los Angeles’ Koreatown, where tensions continued to bubble in the aftermath of the 1992 riots. Her father, a minister, and her mother, a cultural psychologist, provided spiritual and emotional support to the healing community, giving their daughter a front-row seat to the power of reconstruction and reconciliation. At Vanderbilt, Pak learned about the socio-political aspects of reconciliation. She took a class on conflict resolution her sophomore year, and then went on a service trip to South Africa. 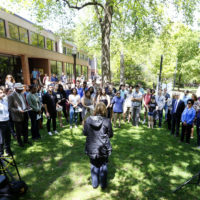 “I saw how reconciliation is individually motivated but relationally carried out, and I wanted to support more spaces for that,” she said. During a semester in the Balkans, Pak conducted research to determine if religion determines how people approach reconciliation. Working with the Vanderbilt Latin American Public Opinion Project, she reported that 1 in 4 people in Latin America approved of domestic violence if a woman had not done her chores. In South Korea, her research helped unpack the politics behind World War II comfort women and how such issues are remembered. Her summer project as an Ingram Scholar took her to Kosovo to help develop the first countrywide survey measuring how people remember the 1999 conflict. Next year, Pak will read for a master’s degree in social policy at the London School of Economics and Political Science. She then plans to go to Philadelphia with Teach for America, followed by law school. Ultimately, she wants to be effective as a policy leader who understands that input from the community is the real driver of lasting change.